I sit here typing this out just hours before my birthday. When you read this, I will officially be another year older. In recent years, I have grown to just hope for a quiet day where we do not have a blizzard or need to head to the emergency room. Yes, as a December birthday girl stuck in snow country, both of these events have happened and I can blame Mother Nature for both. So what are my plans for today? I have none! When everyone has asked me what I want to do on my birthday, the reality is that it will not happen. It may not have been Walt Disney World, but it was a magical time. Thanks to our video camera, I will be able to share more over time. If money and other factors were not an issue, where would you love to spend your birthday? BTW – Don’t forget to enter my Mama Doni Band giveaway for a copy of Chanukah Fever. HAPPY HAPPY BIRTHDAY!!! I hope you have a wonderful day!!! If money were no object for my family, I would want to spend my birthday in Europe or in Hawaii! Traci´s last blog post ..It’s the perfect day for some giveaways! Happy Birthday!! For me, I think I would love to spend my birthday somewhere where it’s warm in March near the ocean. That would be perfect! 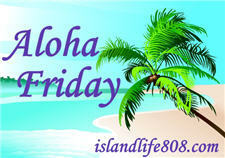 Menopausal New Mom´s last blog post ..Aloha Friday – Christmas Tree Edition! And … HaPpY HaPpY Birthday Beth!!!! Happy Birthday! Mine is next week so I can totally relate. Harriet´s last blog post ..Still texting and Driving? Happy Birthday wishes to you and I hope you do get to do something you’d love to do. I would love to spend my birthday in Hawaii. beach, music, food and fun and awesome nature. Happy Birthday! On the beach with my sister! I miss her so much. Happy Birthday!!!! Sounds like it was a great one! Happy Birthday! I’d love to spend my birthday in Paris with good friends and family.